Your needs are important to us. Our trained coordinators are available 24/7 to listen to your concerns and to answer your questions about your pregnancy options. 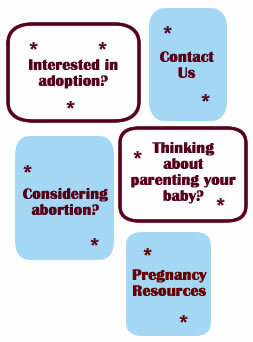 Crisis Pregnancy provides free, confidential help tailored to your individual needs. We can provide referrals for quality medical care, financial aid, scholarships, free legal assistance, food, maternity clothes, and housing. Feel free to call us at 1-800-923-6784 any time. We are here to assist you in making an able, well-informed decision. We're here to help you weigh your options carefully.